Avery Weigh-Tronix XR series super-bright LED displays offers a wide choice of options for the remote viewing of any scale indicator. The XR8M (eight characters, 4") and XR12M (twelve characters, 3.5") are perfect for displaying both weight and messages. The Avery Weigh-Tronix XR series of super-bright LED displays offers a wide choice of options for the remote viewing of any scale indicator. The XR8M (eight characters, 4") and XR12M (twelve characters, 3.5") are perfect for displaying both weight and messages. They can display the entire printable ASCII set with their full 5 x 7 dot matrix arrangement. The XR2000, XR4500TL and XR6500 feature a 6 digit, 7 segment display in 2", 4.5" and 6.5" height. The XR4500TL includes a built-in, red\green traffic light. The high intensity (Precision Optical Performance) red LED lamps create a display that is clearly visible in all indoor or outdoor light conditions, including direct sunlight. 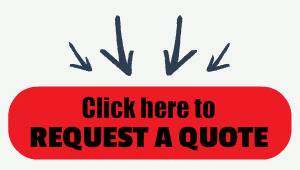 The advanced Auto-Learn technology allows simple plug-and-play operation with virtually any indicator or PC. A durable, weather-tight enclosure protects the XR series in harsh environments. 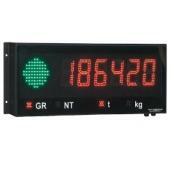 All units include four annunciators for gr, nt, lb, kg and decimal point(s) indication. Time/date is displayed during periods of inactivity on all but the XR2000.